The High Level Delegation of CCLP Worldwide led by Amb. Dr. Enrico Davide Gavello (Head of Diplomatic Mission to the EU) and Dr. Prasad Meherunkar (Director, ITCDC, CCLPW), Prof. Dr. Alessandro Bertirotti ( Academic Council Member) with Prof. Dr. Igino Autuori (Academic Council Member) participated at Education and Culture committee session at European Parliament (Brussels) on 6th October 2014. First preparatory Commission Meeting held at Executive Secretariat Office of CCLP Worldwide and The Final proposal for Inter-Government treaty was approved and Select few Countries will be sent Invitation to join Inter-Governmental Treaty. The Meeting was chaired by International Chairman Sri Vikrant Singh. Other Council members Present were Sri Shailendra Kumar and Dr. Vinod Singh. The Commission also invited experts on international diplomacy. The Executive Secretariat comprising of Sri Pradeep Saha, Sri Sourabh Chakrobarty and Sri Subhendu Das presented the progress report of IGO treaty to the Chair. The Secretary of Indian Chapter of CCLP worldwide also attended the meeting. CCLP Worldwide is an institutional Member of UNESCO Network of Education Quality monitoring For Asia Pacific (NEQMAP) and Dr Vinod Singh attended the 2nd annual Members meeting and proudly released the 15th edition of the magazine. This issue has central theme of quality education and learning assessment and this issue also covered the 2nd annual meeting of NEQMAP. 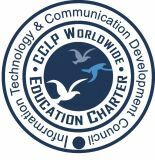 The International Council of CCLP Worldwide has constituted Information Technology & Communication Council (ITCDC) to promote Information technology and Communication as innovative tool to Sustainable Development and Livelihood. The Date of official constitution is 3rd march, 2014 vide Secretariat Declaration No. 35/13-14 as passed by International Council. Dr. Ing. 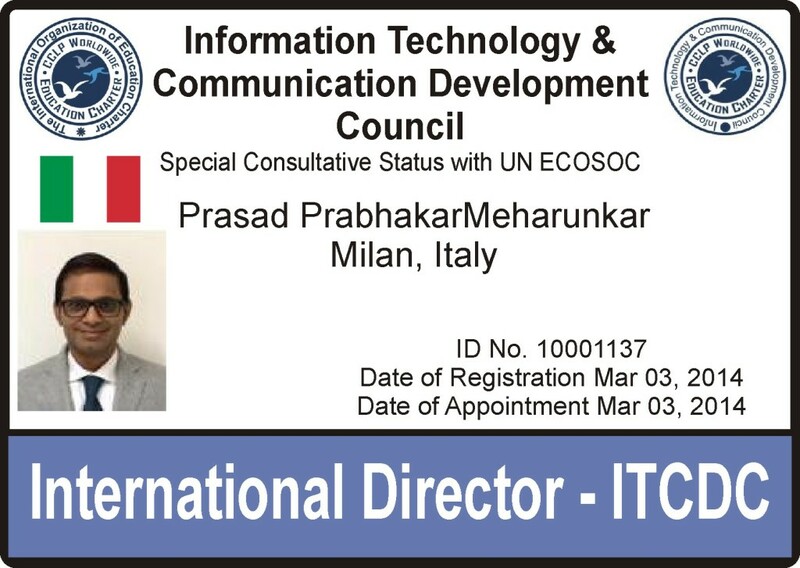 Prasad Prabhakar Meharunkar is appointed as First International Director of the Council. Mr. Prasad Meharunkar is the Country Head of TATA Consultancy Services (TCS) for Italy and Southern Europe.